Do you love cultural appropriation of traditional Hawaiian foods? So do we! This week we ventured to Poke City near the Radcliffe Quadrangle and found ourselves pleasantly surprised with the poke bowls! It is similar to fast-sushi in a Subway/Chipotle-like format where you can add toppings and customize your meal as you go. Saranya ordered the spicy salmon bowl, with edamame, mango, mango salsa, and seaweed salad, topped with crispy rice and toasted seaweed. Sara ordered the Poke City bowl with spicy salmon, zucchini noodles, brown rice, crab meat, edamame, cucumbers, and mango salad topped with extra mangos and crunchy onions. Both bowls tasted a lot like deconstructed sushi–a flavor explosion of zesty seafood in exciting colors and textures. However, the key we realized, is to shake up the bowls to mix up the flavors! While Saranya mixed up her bowl, Sara decided not to. After trying both, we concluded that mixing the bowl up was definitely a better call! This not only equalized the flavors and allowed the flavorful salsas, spicy mayo, and soy sauce to permeate throughout all of the rice, but it also made each bite taste just as good as the last (instead of getting all the cucumbers or crab meat in one bite, and none in the next.) However, Saranya thought the ratio of different foods was a bit off, with way too much sushi for the fish. Even though we didn’t order the poke-rolls (say, sushirrito?? ), the man behind us who did seemed very content with it! The space was small and had a cute blue mural on the wall. The service was very helpful, and many of the people who were eating there seemed to be regulars. Poke City is definitely a great place to try out! As the summer draws to a close, many may be wondering what on earth has happened to Harvard Square. Many beloved restaurants perished with the remodeling of the Smith Center. Student favorites like Al’s are now gone, so our stomachs may be running a little on empty. A few other promises of summer openings were left unfulfilled, but this guide is perhaps a glimmer of hope for what has and will come to Harvard Square. Tom’s Bao Bao – Chinese steamed buns, baozi, are the specialty of Tom’s Bao Bao. Various unique fillings are enveloped by airy white dough before being steamed to perfection. From the upscale lobster to the decadent chili beef, there are plenty of excellent options for a quick meal or snack. While slightly pricey, Tom’s Bao Bao is a great addition to Harvard Square for the adventurous student. Waypoint – Alden & Harlow is not only one of my favorite restaurants in Harvard Square but is one of my favorites in all of Boston. Michael Scelfo, the chef behind Alden & Harlow, recently opened a seafood restaurant, Waypoint, near Harvard Square. Following a similar small plate concept, Waypoint will hopefully become another Boston staple as it opened with excitement. B.Good – One of the favorite destinations for students seeking a healthier alternative to fast-food, B.Good was missed when it closed due to the Smith Center renovations. However, it is scheduled to return in a short while at the former O Sushi space. The fresh burgers, salads, and fries are things to look forward to in the near future. En Boca – Mediterranean flavors are coming to Harvard Square from En Boca, a restaurant by the team from The Asgard and The Kinsale. Deviating from their other Irish pubs, Classic Restaurants Concepts is creating En Boca with Devin Broo from Bar Boulud. 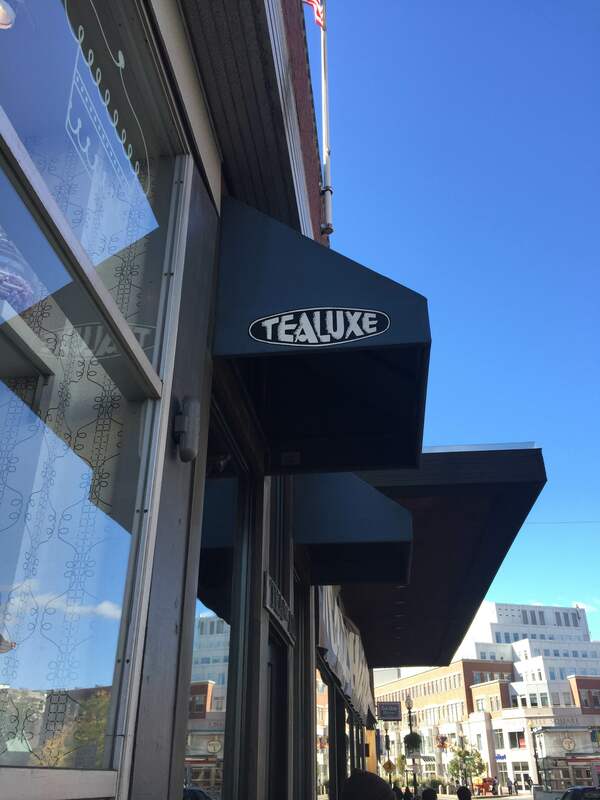 Originally slated to open in August 2016, the restaurant appears to be close to opening. DavidsTea – DavidsTea is a tea store that was started in Canada and has begun expanding into the United States. With other locations in Massachusetts, DavidsTea specializes in various tea related products from teas themselves to mugs and other accessories. The store is slated to finish in September 2016. The Hourly Oyster House – In the former Kennedy’s on the Square space, the Grafton Group is creating an oyster bar known as the Hourly. With well-established restaurants like Russell House Tavern, Park Restaurant, and Grafton Street, the Grafton Group continues to expand their empire with a seafood specialty restaurant in Harvard Square. It promises to provide extensive take-out options, perfect for students in a hurry. The Hourly is looking to open in early fall 2016. Tatte Bakery & Café – It is obvious that I am a fan of Tatte Bakery and Café and perhaps was one of few students who was happy when Panera closed. Tatte will bring their fresh pastries and other delicacies to Harvard Square with a weekend brunch menu and cooking lessons. The space is currently under construction and hopefully will be opening in September. Sweetgreen – A large salad chain started by a group of Georgetown graduates is coming to Harvard Square. With the success of Sweetgreen in Back Bay, the chain planned to expand extensively in the Boston area. Highlighting local purveyors like Iggy’s Bread and Ward’s Berry Farm, Sweetgreen is bringing accessible farm to table to the square. Look for it to open in the fall. Benedetto – With the closure of Rialto, Harvard Square lost one of its long-term residents. After providing upscale Italian cuisine to the community for over twenty years, the restaurant did not wish to continue after the departure of chef Jody Adams. Giulia chef and owner, Michael Pagliarini, plans to open Benedetto in the Rialto space, which I believe to be an exciting transition. Giulia has garnered stellar reviews, and hopefully Benedetto maintains the legacy of Rialto. The current opening date is ambiguously set in fall 2016. Flour Bakery + Café – Harvard graduate and star baker (James Beard Awardee), Joanne Chang, is bringing her Flour Bakery + Café to Harvard Square. From the famous sticky buns to excellent sandwiches, Flour has become a Boston staple, and it was great news to hear that one is coming to Harvard Square. The Harvard Square branch is projected to open in October 2016. Restaurant from Island Creek Oyster Bar/Row 34 – While the opening date remains the most distant, I simply wish to show my excitement for another restaurant by this group. Island Creek Oyster Bar is my favorite seafood restaurant in Boston after numerous memorable experiences. I look forward to what concept will be devised. When I was four, pumpkin was my least favorite vegetable. It has since become one of the best; a seasonal flavor I can’t pass up. Pumpkin chai latte, pumpkin spice, and the classic pumpkin pie – I can eat those all day long. So this weekend, I made it my mission to go to three different eateries and try out their pumpkin-themed desserts. Every day is J.P. Licks Day. Above is a waffle cone with pumpkin custard and white coffee chunk. My first stop was, of course, at J.P. Licks. Its location right across from the Yard is both a blessing and a curse; whenever I want ice cream, I don’t have to walk far to get some, but its closeness always tempts me every day. I had a small in a waffle cone of two of J.P. Licks’ Flavors of the Month: pumpkin custard and white coffee chunk. The white coffee chunk was a delicious blend of coffee and chocolate – two things that I can never resist. The pumpkin custard was good, but I felt like the pumpkin flavor wasn’t strong enough. 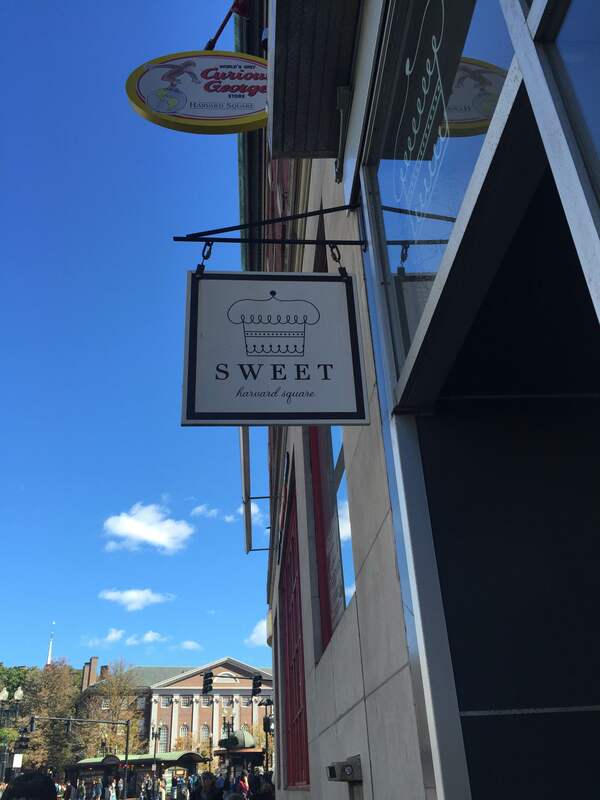 Also located at 0 Brattle St., Sweet has simply amazing cupcakes that everyone should try. Sweet, a cozy bakery filled with some of the best cupcakes I’ve ever had, ended my day on a high note. They had a nice variety of fall-themed desserts, and at least three different kinds of pumpkin flavored cupcakes. I ordered the pumpkin pie cupcake, and relished every bite of it. 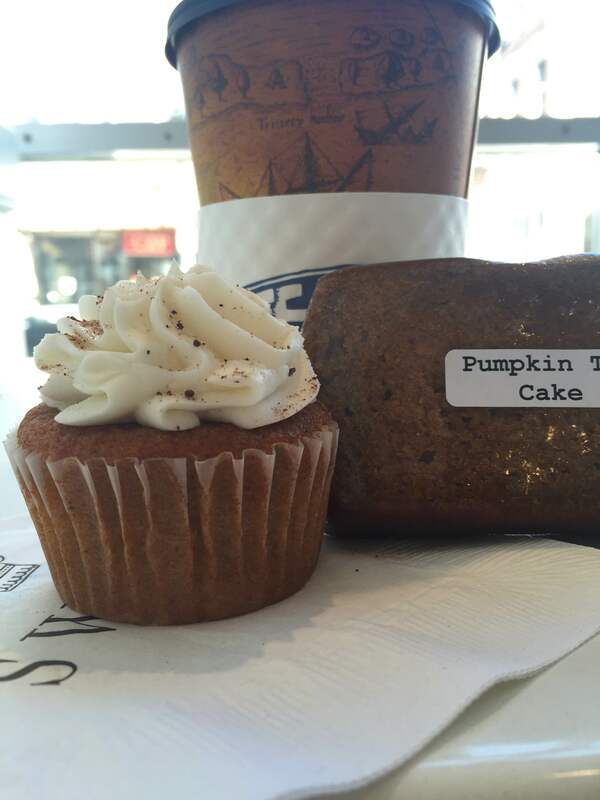 Tealuxe’s Chaider and Pumpkin Tea Cake & Sweet’s Pumpkin Pie cupcake. The pumpkin is one of fall’s greatest classic flavors, and my mission to find delicious pumpkin-flavored desserts clearly demonstrates why it remains popular season after season. 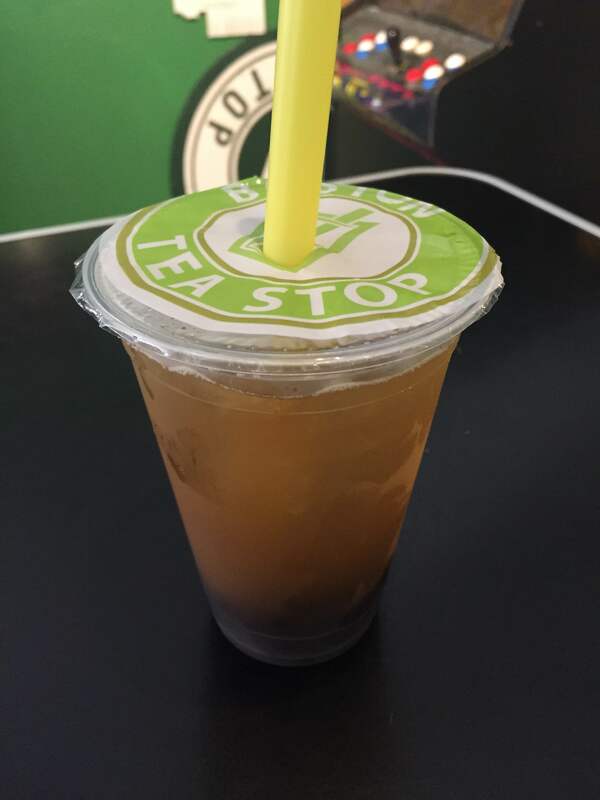 Bubble tea – or “Boba” as we Californians call it – is an experience. It’s not just tea – it’s tea with chewy pearls of pure happiness. The drinks come with a cluster of tapioca pearls at the bottom and a fat straw so that you can drink in the pearls with your tea. The texture of the pearls combined with the sweetness of the tea just makes the drink simply perfect. I had some mad cravings for some boba last weekend, and, to my fortune, I found out that there was a boba place very close to the Yard. 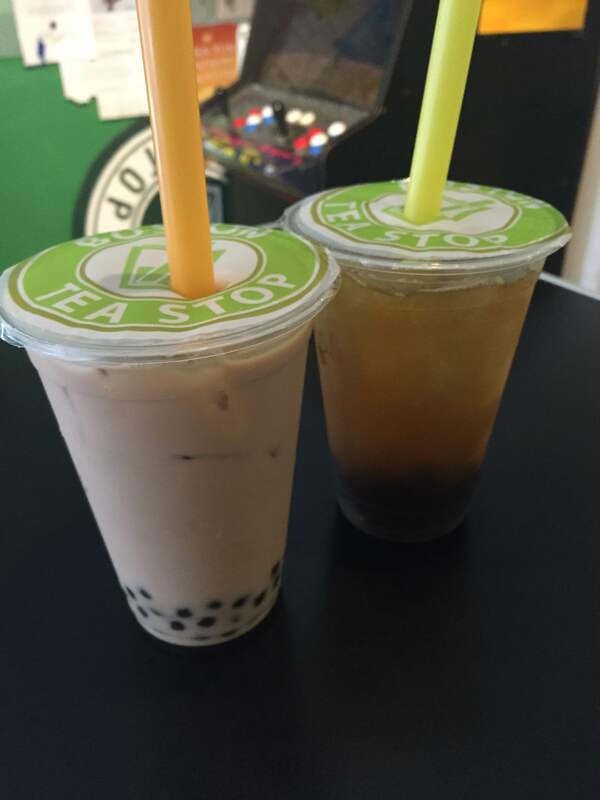 Open from 12:30 PM – 11:30 PM and located on 54 JFK St., Boston Tea Stop is the place to go anytime after lunch. The interior looks a little run-down, but that just adds to the homey atmosphere of the small café. 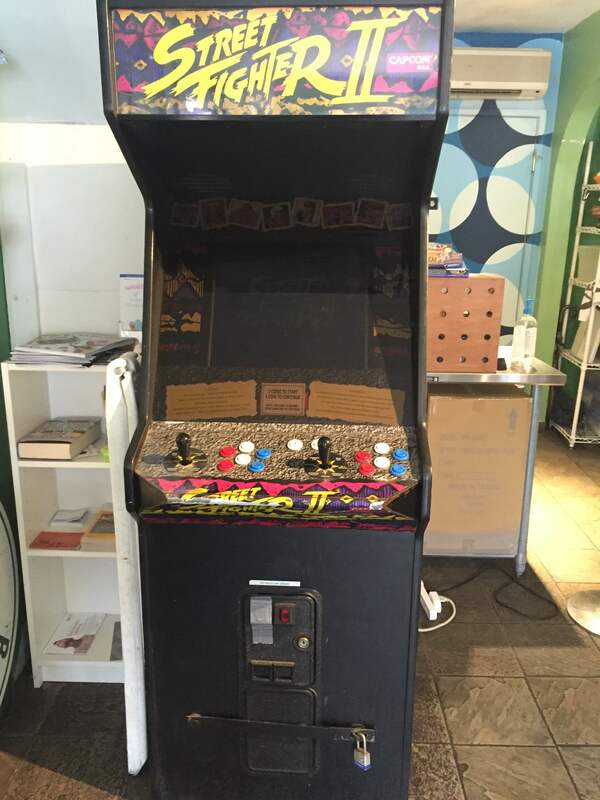 And the random Street Fighter II arcade game in the back corner of the store just added to its charm. There’s a good variety in the menu, which I definitely appreciate. 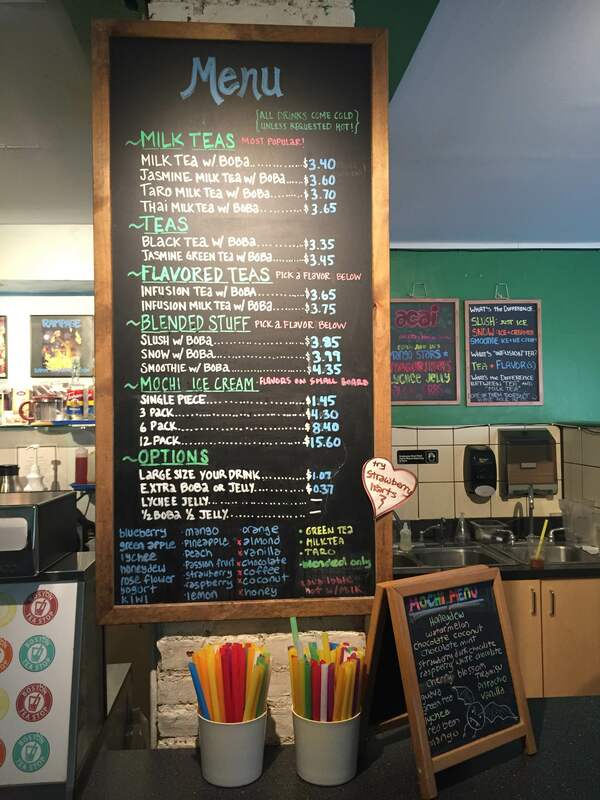 There are the classic Milk Tea flavors, as well as unique Flavored and Blended options. But what got me very interested was their Mochi Ice Cream. I hadn’t tried that with my boba before, so I had to order one. 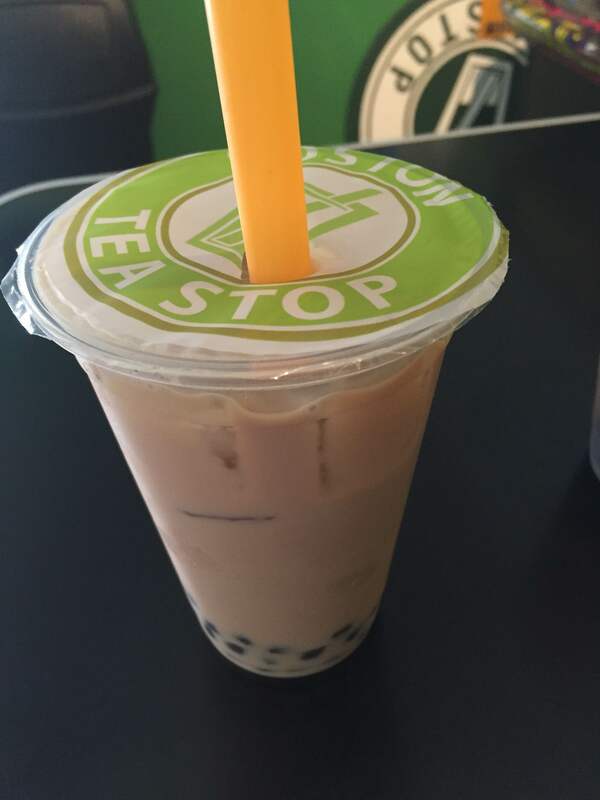 When I finally got to try my tea, my cravings for boba were satisfied. I got the Jasmine Gren Tea with Boba, and while I would have preferred my boba pearls to be bigger, I still enjoyed my tea. The Lychee Mochi Ice Cream was very difficult at first to actually bite through because they were basically frozen solid, but it was delicious once it melted a bit. Overall, I’d recommend this place for both people who have had boba before, and for those who have not. The prices are definitely very reasonable, and the location couldn’t be better. Whether you are new to the Harvard campus, or are simply cooped up in the Quad working on problem sets, you may not have had the opportunity yet to attend a Lowell House tea – and you’re certainly missing out. Every Thursday at 5 o’clock sharp, the kettles are whistling and the students are hustling into the beautiful home of Lowell House Masters Diana Eck and Dorothy Austin. The weekly gathering is a long-established tradition for Lowell students, but Eck and Austin kindly open their doors to non-House members as well. After waiting in line for several minutes with anticipation building, you are ushered into Lowell’s beautiful courtyard (weather permitting), and from there the opportunities are endless. The green enclosure is a small departure from the rest of the event. There, a linen covered table offers tortilla chips and guacamole. However, in keeping with the elegant standards of this house affair, there is also a bright punch bowl of lemonade to keep guests hydrated and to serve as an option for the non-tea drinkers out there. Lowell resident Anne Mathews ’16 is baking for the first time this year. “Some things, likes the scones and cheesecake bars, are Lowell traditions,” Matthew explains. “But my favorite thing to make is sugar cookies.” Indeed, the cookies are a crowd favorite. Master’s Residence Manager Charlotte McKetchnie is in charge of the beloved function, though student bakers can be seen scurrying out the kitchen and into the parlor to replenish any plate looking too bare. And if cookies aren’t your cup of tea, there are several cake options throughout the hour. First, a beautiful wedding cake. (Yes, Lowell tea offers a small, white wedding cake.) Then, a decadent chocolate slice awaits. Finally, for the third restock, another beautiful yellow cake adorned with flowers. All of the food looks so professional, you would think Harvard offered a culinary class. For the savory fanatics, there is the extremely popular baked brie and crackers. Be warned: if you’re not there within seconds of this platter being put down, you won’t even be able to find a trace of the delectable cheese. In keeping with the tradition of high tea, there is also a platter of finger sandwiches, ranging from a classic cucumber to a trendy Nutella. And the attendees, hosts, and bakers aren’t the only ones enjoying themselves every Thursday. “Dorothy and Diana have an adorable polydactyl cat named Willy who gets underfoot in the kitchen,” Mathews said.